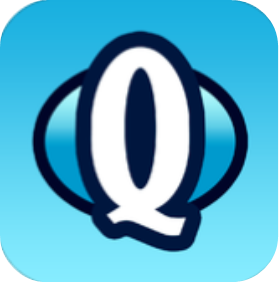 Was a new tech device on your Christmas wishlist? 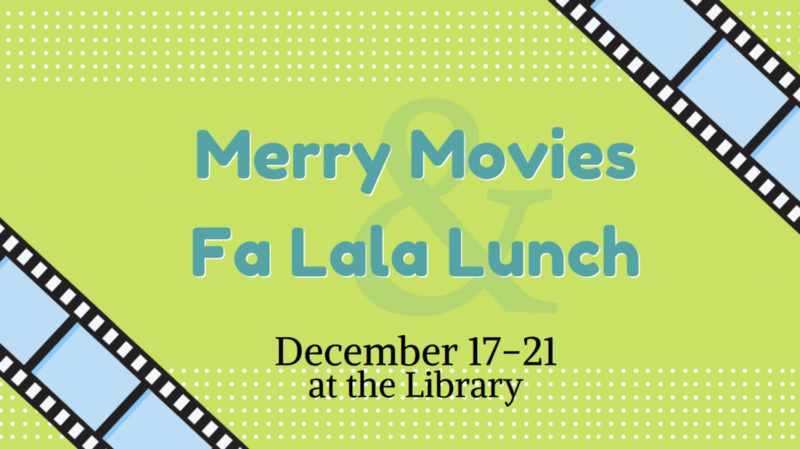 During the last week of school before the holidays, grab some friends and your lunch as soon as the lunch bell goes and head to the library to watch a Christmas movie. 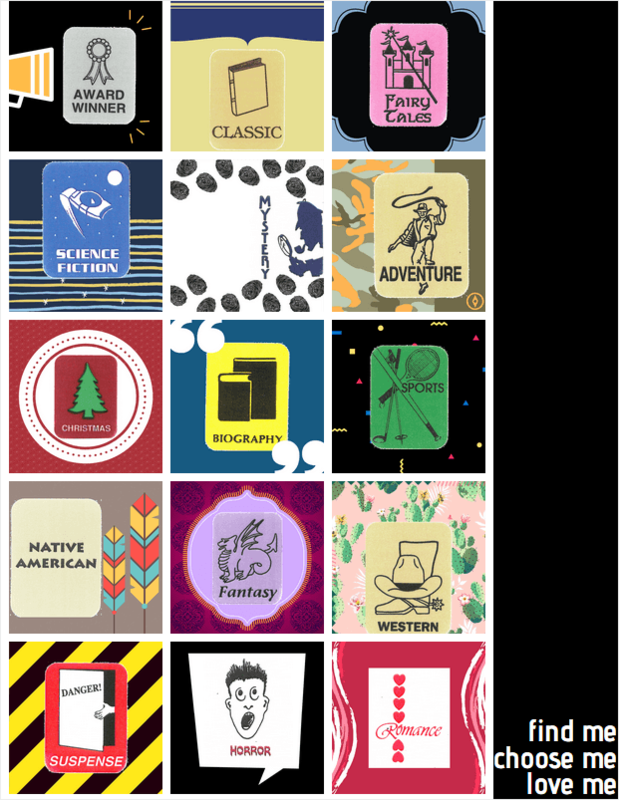 A different Christmas movie will be playing each day at lunch the week of Dec 17-21. Come feel festive with us! 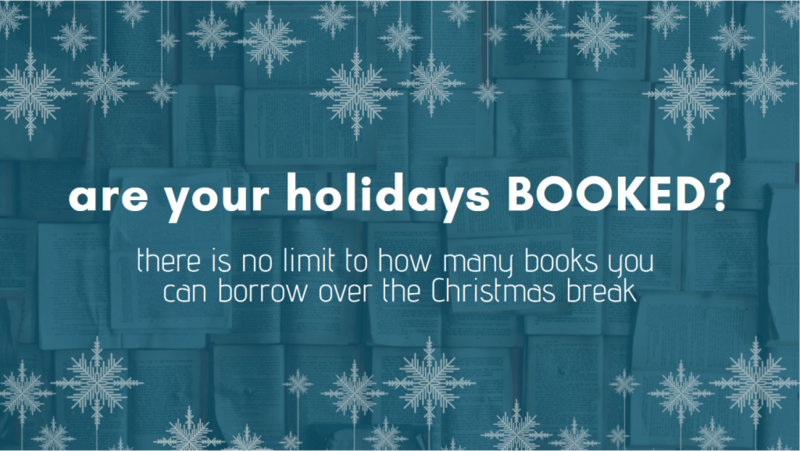 Stop by the library before you leave for the Christmas break and grab a handful of books from the displays of recommended reads or browse the shelves — there’s no limit on what students can borrow over the Christmas break! Spread some Christmas comfort and joy the week of Dec 10-14. 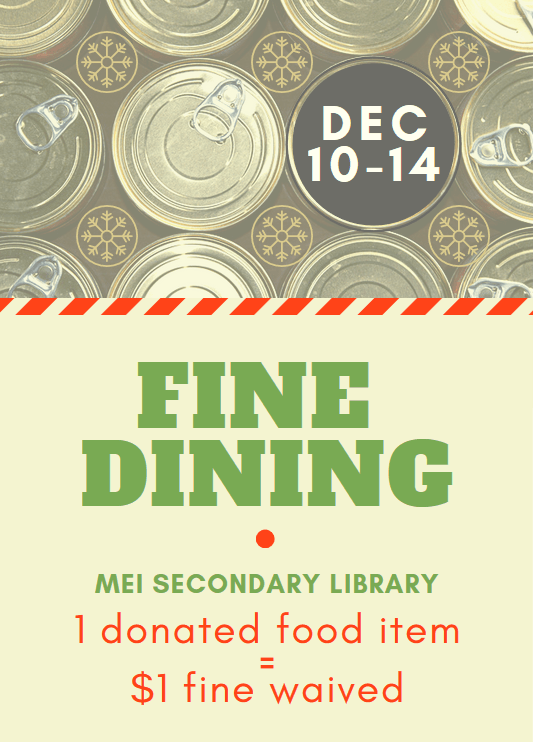 Bring in non-perishable items and have $1 per item removed from your late fines. All items will be donated to the local food bank. 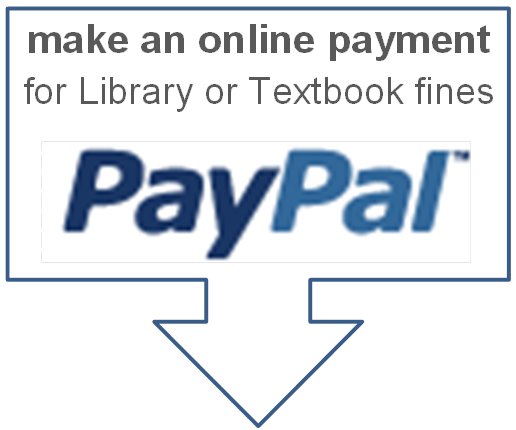 Wondering what books you have out or what your fines are? 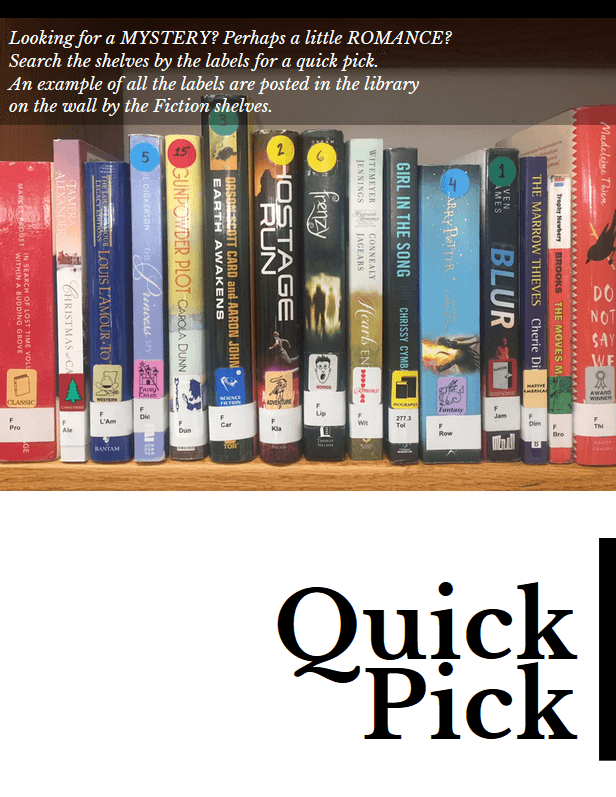 Check out the my MEI library tutorial for tips & tricks on how to find MEI Secondary Library catalog online and what to do once you have logged into your account. 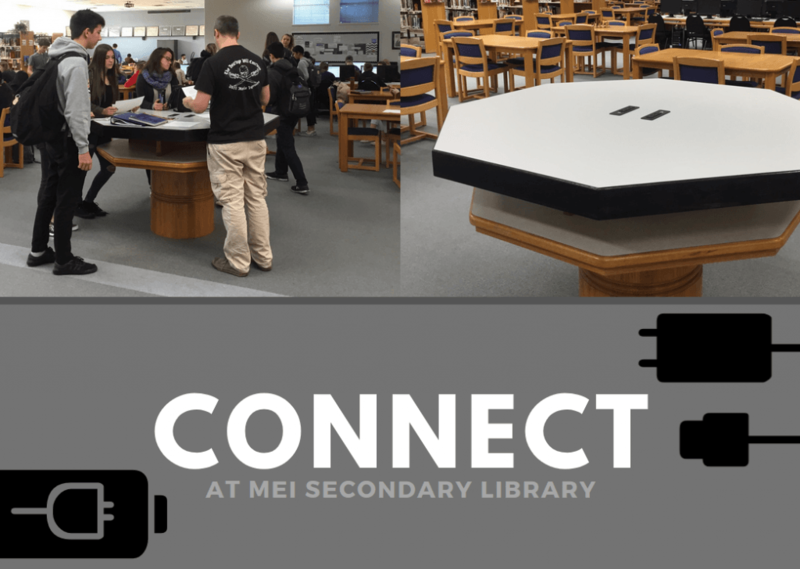 MEI Secondary Library has a new place for you to stand & work, with spots to charge your devices. It’s the perfect spot for group work! A big THANK YOU to Theron B. in Gr12 Woodwork, Leticia H. & Marijka M. in Gr9 Woodwork, Mr. Ward, and the Drafting class who did all the measurements! 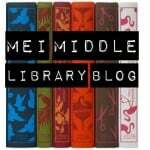 The annual MEI Secondary Library Christmas decorating party is only 2 weeks away! 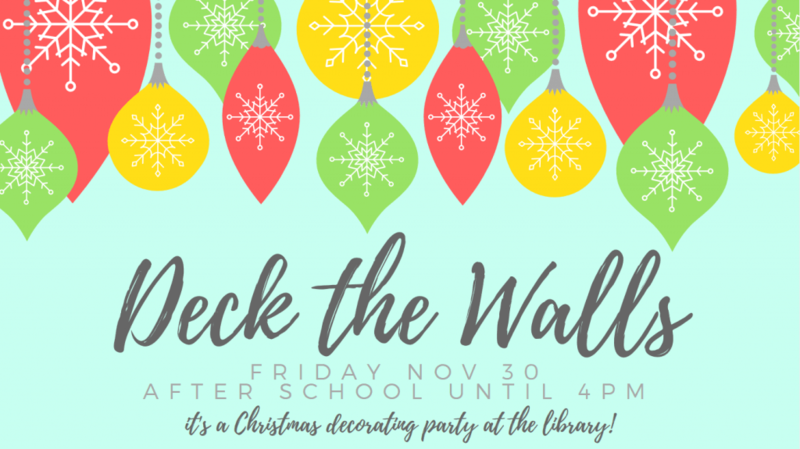 After school on Friday November 30 come join in the festive fun, munch on some tasty snacks, and fa la la with us. 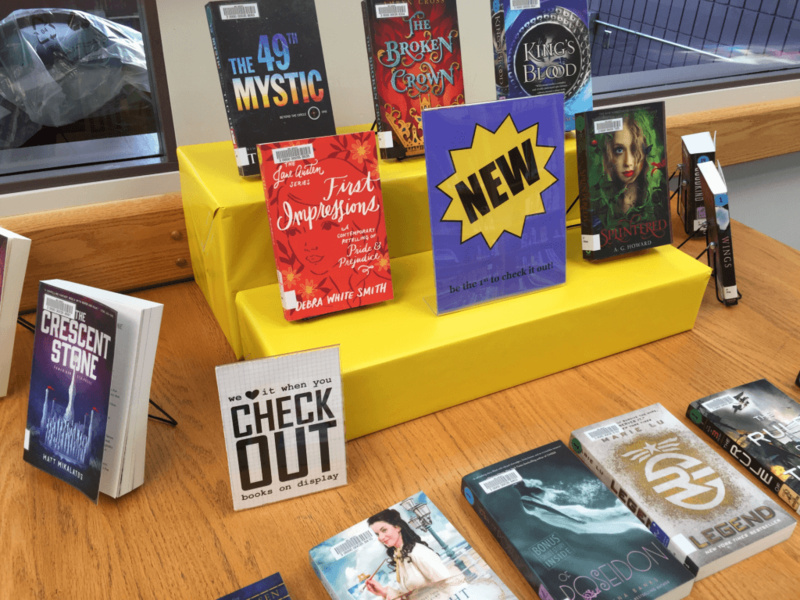 Have you noticed the changes happening in the library? 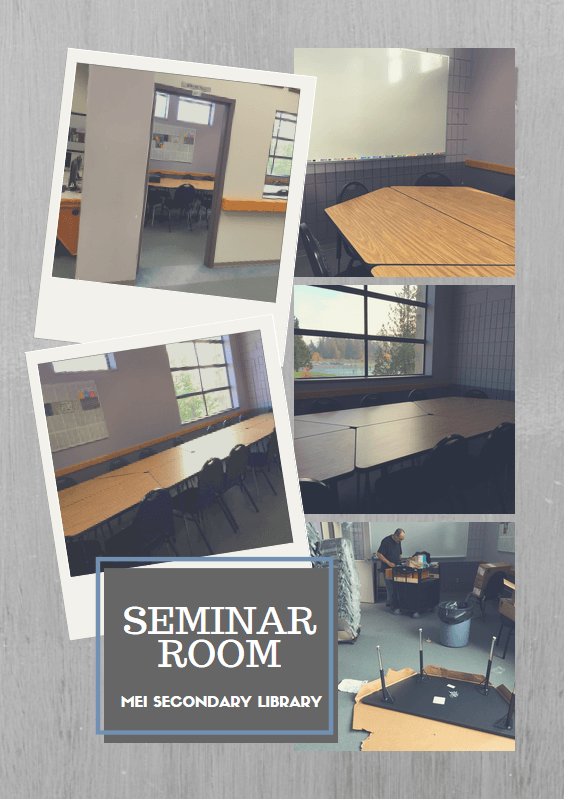 The Seminar Room has a whole new look and it’s ready for you to use! 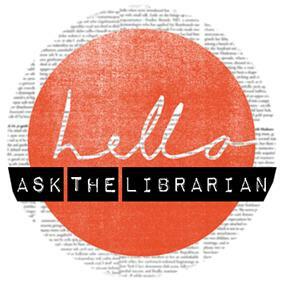 Staff can reserve that space for classes or meetings through the Bookings Calendar, students and other groups are welcome to Ask the Librarian. 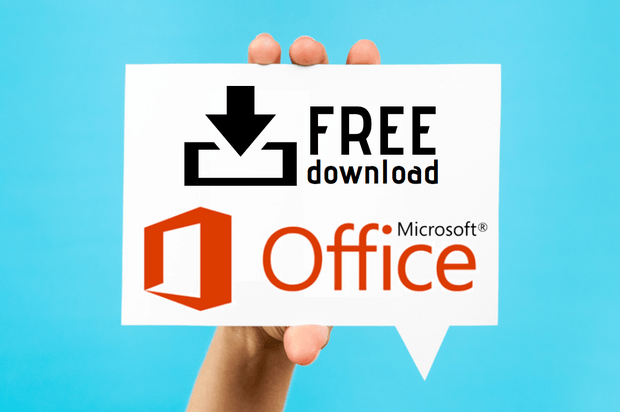 Working on a research project? 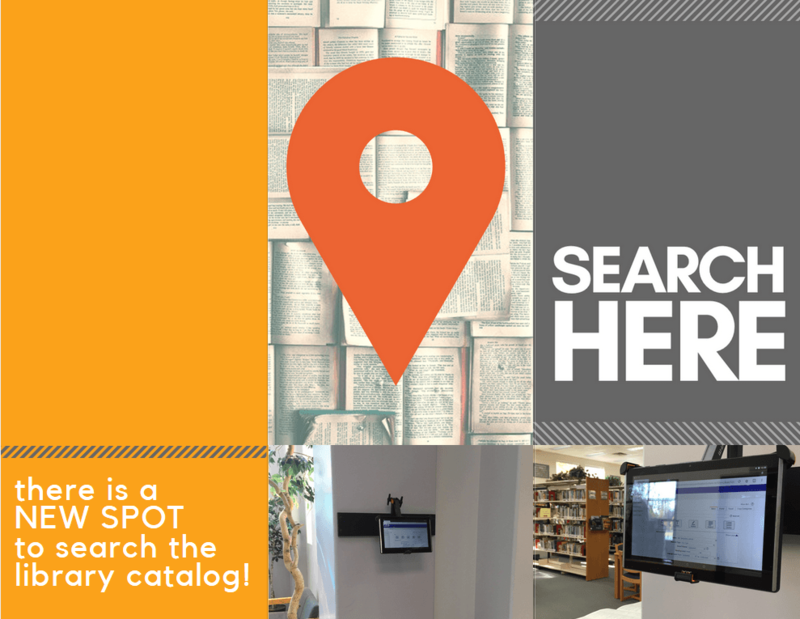 Try out the NEW SPOT to search the library catalog!